Hyder Rind Marwari Sindhi Folk Music Artist. 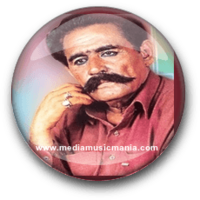 He is great most popular Sindhi Folk Music Artist. He has sung Sindhi Classical Music, Sindhi Folk Music with new style on Alghoza Instrument. I have selected most popular Sindhi songs of Hyder Rind and also famous songs in Marwari language. He sung on the demand of peoples. He is very popular in Marwari Music, Dhatki and Sindhi Music on Alghoza Been with great Alghoza Singer Aleem Khaskheli. Hyder Rind is great and popular specially in Therparker, Badin and Thatta and also all Peoples of Sindh like Hyder Rind. He is very popular Singer of Sindh. Hyder Rind introduced new style to sing on Alghoza traditional Marwari Songs. I have selected below most popular Marwari and Sindhi Classical Music of Hyder Rind. Hyder Rind was born on 1955, in Village "Karimdad Ji Tarr" Therparker Sindh. He is great Marwari and Sindhi Singer of Therparker Sindh and he has created great name in Sindhi Music. He got Musical training from ustad Luqman from Mithi Therparker. He sung Sindhi and Marwari Folk Music with Alghoza Been in marriage ceremonies, Mela, Mehfils and other places. He is very popular town to villages very soon. Hyder Rind has given great performance in Pakistan Television Sindhi Program "Mehfil". Sindhi people never forget this great Artist forever. His style in singing on Alghoza he introduce great tradition Folk Music peoples like his great style and sweet sound. Hyder Rind Music specially played in Vehicles, Mehfils, Aotaq, Mela and Marriage ceremonies in root areas.